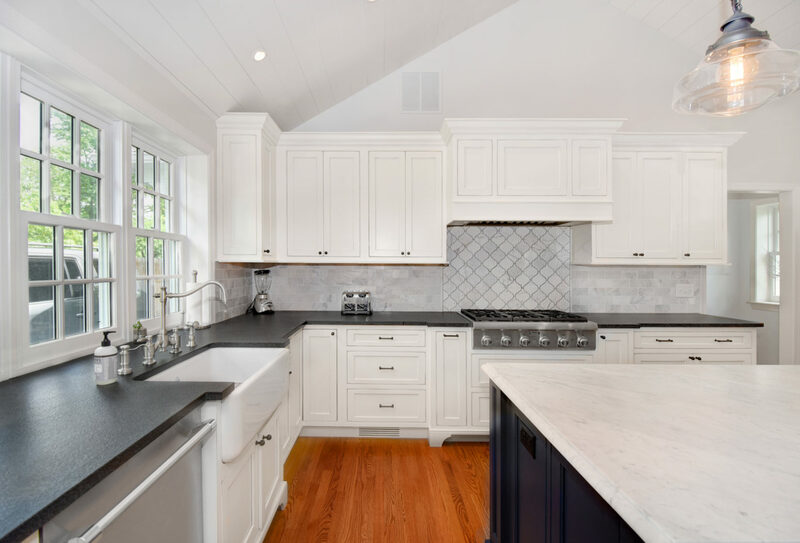 For this project we converted an existing garage into a new kitchen and mudroom space. 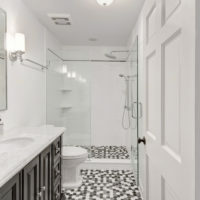 In addition, we reconfigured an existing study into a guest bedroom with a full bath. 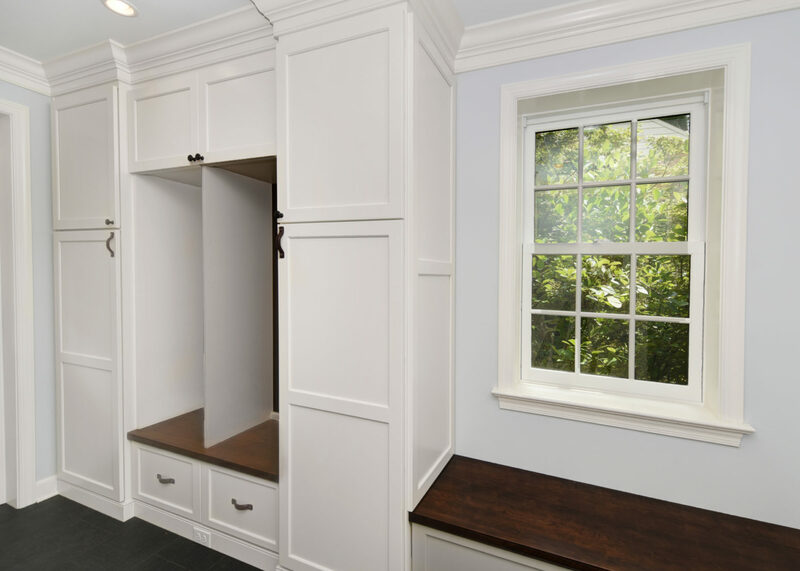 Mudroom– Custom cabinets by Goebel Cabinetry consists of storage cubbies with charging stations, drawer base, and solid cherry tops. 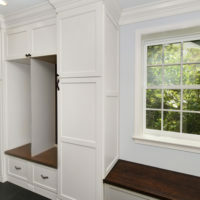 Additional tall cabinets and under-window bench with drawer base and solid cherry top. 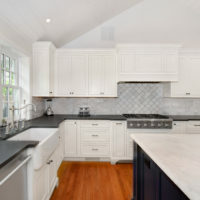 Cabinetry and room finished with crown molding detail. 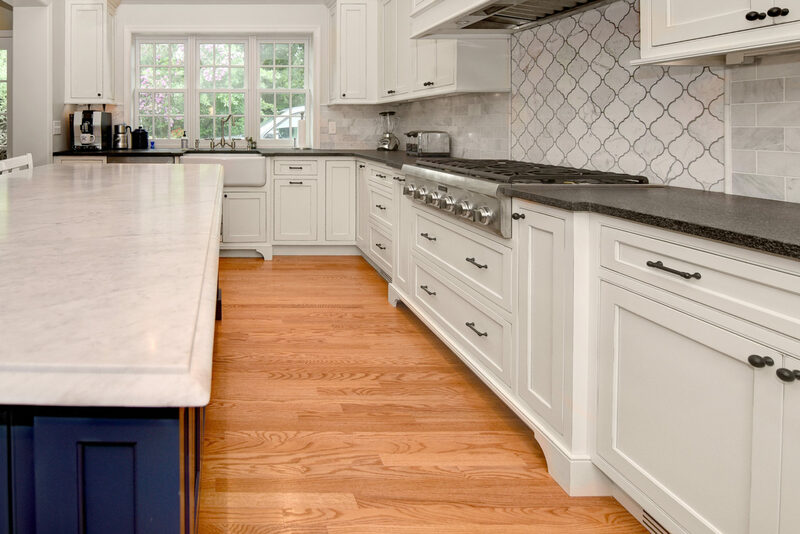 The floor is a beautiful textured 12 x 24 tile in Faroe Midnight with black grout. 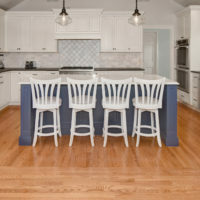 The room is painted in Sherwin Williams Reflection. 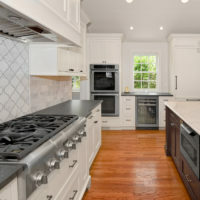 Kitchen – Custom beaded inset cabinets by Goebel Cabinetry. 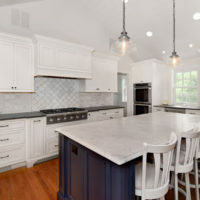 The perimeter cabinets are maple painted in Crystal White with antiquing and leathered Black Absolute granite countertops. 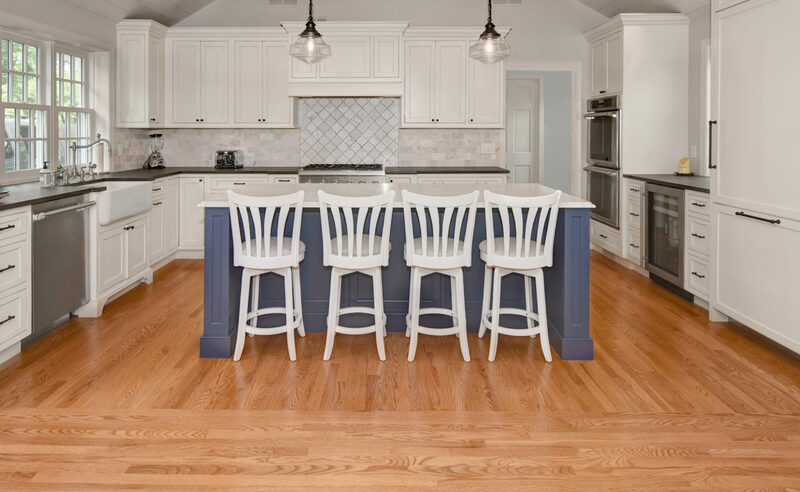 The island has beaded inset maple cabinets painted in Indigo Batik. 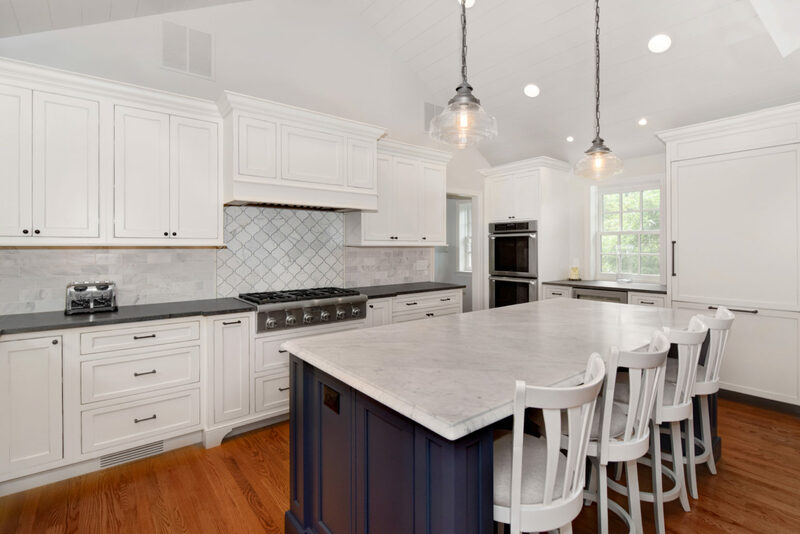 The island features a beautiful White Carrera honed marble top with DuPont ogee edge which ties in nicely with the marble backsplash. 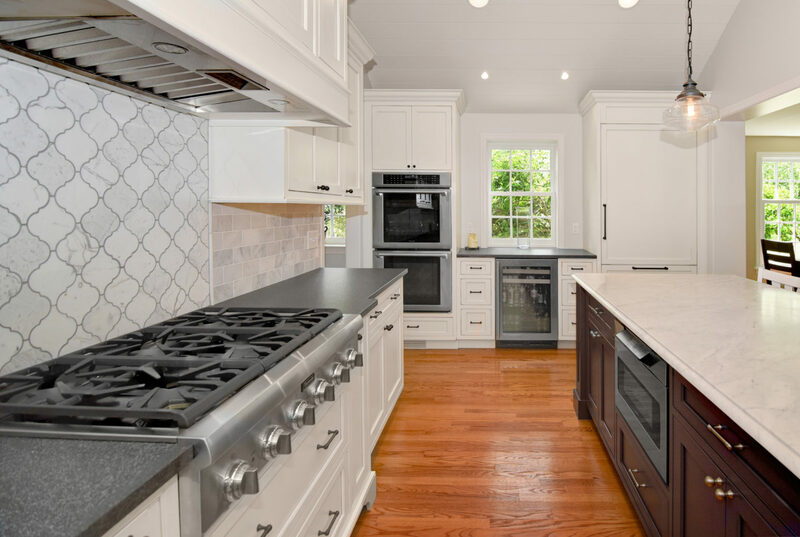 The appliances are by Thermador and feature a custom paneled refrigerator and 6 burner gas range. 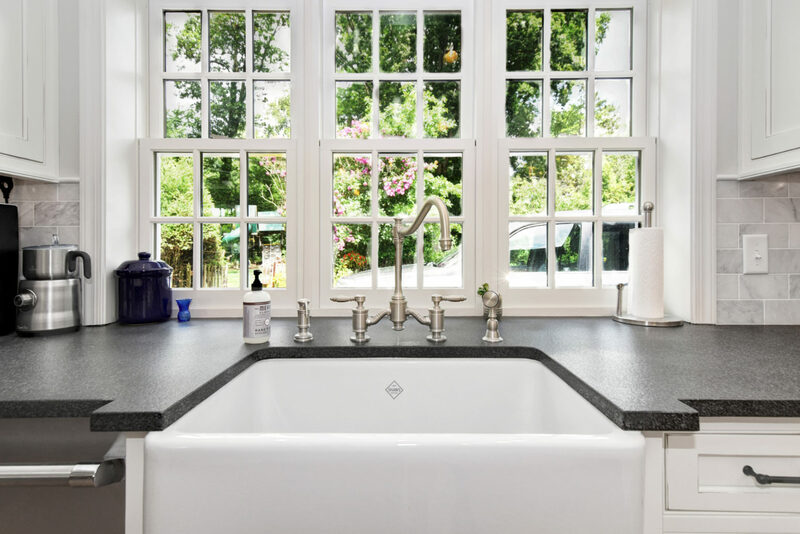 This kitchen would not be complete without the stunning Rohl fireclay apron front sink and Waterstone Annapolis faucet in satin nickel. 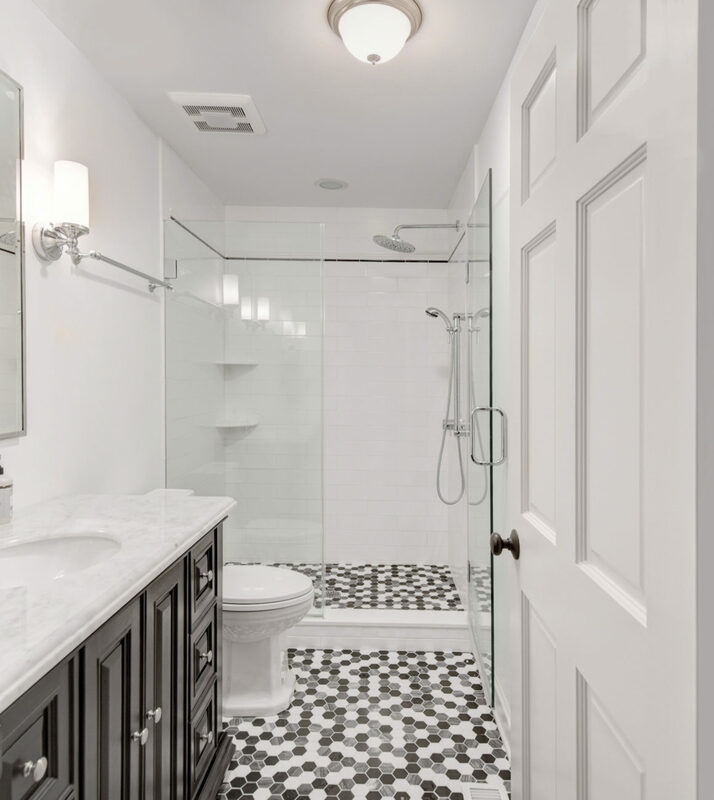 Guest Bath – This black and white bathroom has a stunning 2” hexagon marble floor which carries into the shower. 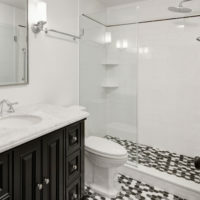 The shower walls are Streamline 4×16 Artic Glass with a black pencil boarder. 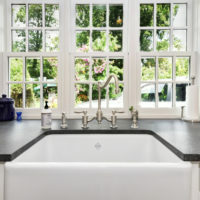 Rain showerhead is by Grohe and the handheld is Jaclo. 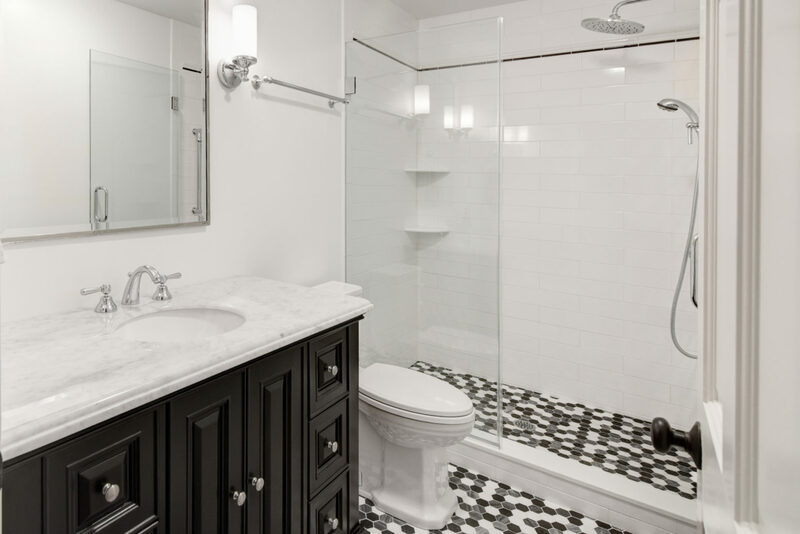 In keeping with the black and white theme, there is a black vanity with marble top.